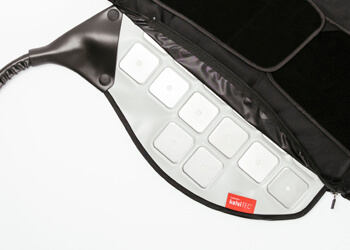 KelviTEC™ - Kelvi - Hypothermia Devices, Inc.
Cryo/thermotherapy technology that is both evolutionary and revolutionary. 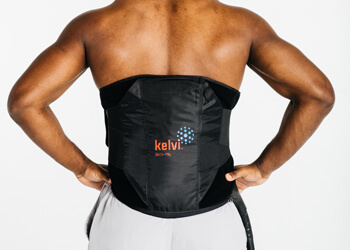 Underlying Kelvi’s patented technology is simple observation. The technology used for cooling and heating in athletic training rooms and medical settings hasn’t fundamentally changed in more than 150 years. Therapeutic modalities are still fundamentally based on ice, mechanical refrigeration and resistive heating. KelviTec technology still applies the well-understood principles of heating and cooling for medical applications and athletic recovery. But it brings unprecedented convenience for athletes, athletic trainers and medical technicians, coupled with high precision, tight temperature control, trackability and repeatability. Archives treatment history, allowing athletic trainers and medical professionals to map history to treatment results and scientifically refine therapies over time.